The technological company VSN has been awarded the Radiotelevisión de la Región de Murcia (RTRM) tender for the supply and deployment of a media management and storage system for its audiovisual heritage. VSNExplorer, the media and business process management platform, is the system chosen to substitute all current equipment and to which all the content from the public broadcaster will be migrated. 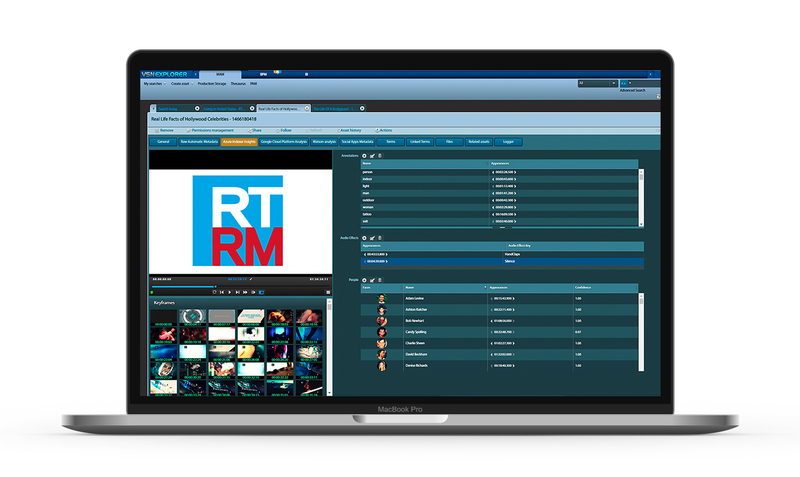 The Spanish public broadcaster from Murcia region (RTRM according to its initials in Spanish) has selected after a call for tenders VSNExplorer MAM, the Media Asset Management system of VSN, based on VSNSpider system for media movement coordination, transfer to storage and archive, and an efficient storage management. By deploying this new system, RTRM seeks to improve its system capacity, what has been highly valued during the tender process, as well as guaranteeing a smooth and intuitive transition from the current system to the new one, allowing for a quick training of technicians and employees at RTRM. Awarding this project contract to VSN, RTRM will also count on VSNExplorer platform’s Business Intelligence module, enabling its users to access a complete auditing toolset, as well as customized analytic reports, in order to perform detailed performance analysis and detect inefficiencies in the company’s processes and trends. This module allows users to generate reports based on information within the system, no longer being necessary to perform this task manually or to use third-party systems. “We are very grateful to RTRM for awarding this project to VSN, with a technical assessment that corresponds to the efforts made by our team in order to present the offer best adapted to their needs.”, states Álvaro Montalbán, Sales Manager at VSN for the EMEA region. “We expect this project to be a great success, thanks to the close collaboration of RTRM and all the departments engaged in the project.”. To know more about VSN solutions, visit the company’s website https://www.vsn-tv.com/en/ or get in touch with VSN professionals through the email address sales@vsn-tv.com.